Green Honey's potato leaved vines hold clusters of some of the sweetest green and gold tomatoes on Earth. 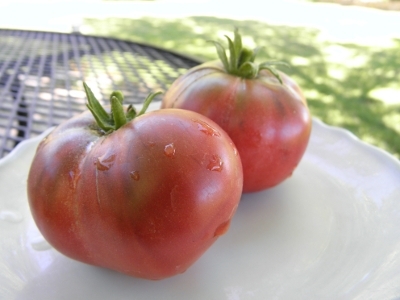 For two years now this has been one of our favorite tomatoes for market. When people sample them, they are absolutely astonished by the rich flavor. Green Honey is a little later at around 75 days, but well worth the wait and the plant will continue to produce the golf ball sized fruit until frost.